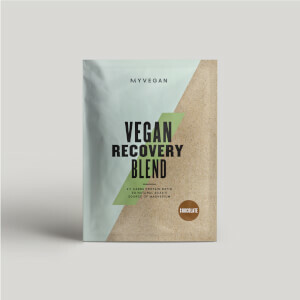 Our vegan-friendly BCAA blend contains the essential amino acids, leucine, isoleucine and valine, along with important electrolytes — making it the ideal formula to replenish your body after a tough training session. There are 4g of BCAAs per serving, these naturally occur in protein, which helps to build and repair new muscle1 — perfect to get you back on form to tackle your next workout. 2. Magnesium contributes to normal muscle function, normal protein synthesis and a reduction of tiredness and fatigue. 3. Panax Notoginseng contributes to the natural defences and proper functioning of the immune system. When to take BCAA Sustain? This super-convenient powder is ideal to enjoy during your workout — just choose from the delicious fruity flavours for a refreshing, energising2,3 drink. Add 4 scoops (11g) to 500ml of water in a shaker before, during or after exercise. What does BCAA Sustain work well with? 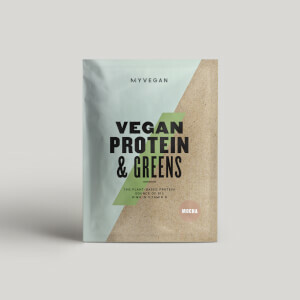 This blend is great to stay topped up on your essential amino acids, but to make sure you’re getting enough protein too, try a shake of our Vegan Protein Blend for plant-based power. For allergens see ingredients in bold. May contain milk. Orange: Vegan BCAA (L-Leucine, L-Isoleucine, L-Valine), Sweetener (Erythritol), Flavourings, Acid (Citric Acid), Magnesium Citrate, Sodium Chloride, Sweetener (Steviol Glycosides), Curcuma oil extract, Beetroot Concentrate, Panax notoginseng (root), Astragalus membranaceous (root). Branched chain amino acid 2:1:1 (Leucine:Isoleucine:Valine) vegan ready-to-mix powder with lemon and lime flavouring with sweetener. Food Supplement. 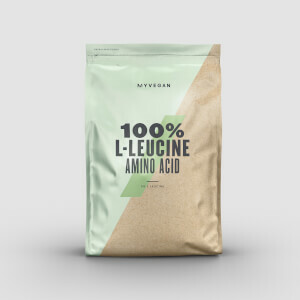 Branched chain amino acid 2:1:1 (Leucine:Isoleucine:Valine) vegan ready-to-mix powder with orange flavouring with sweetener. Food Supplement. Branched chain amino acid 2:1:1 (Leucine:Isoleucine:Valine) vegan ready-to-mix powder with raspberry lemonade flavouring with sweetener. Food Supplement.